Signed in block to print l.r., incised "M.P.". Signed l.r. 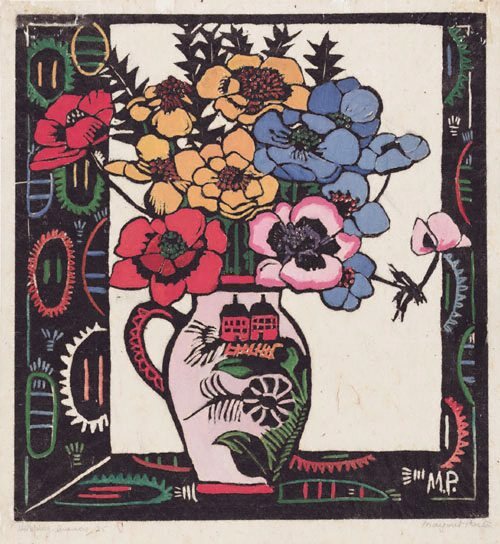 beneath blockmark, pencil "Margaret Preston". Dated l.l. beneath blockmark, pencil "... 25".